1. Locate the bust line, waistline, and hip line on your muslin. 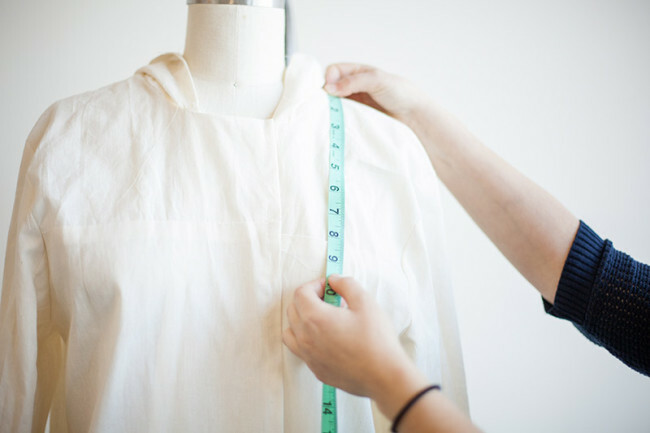 To do this, try on the muslin and measure the coat from the high shoulder point (the point on the shoulder seam closest to your neck) to the apex of your bust, to your waist, and to the widest point on your hips. 2. 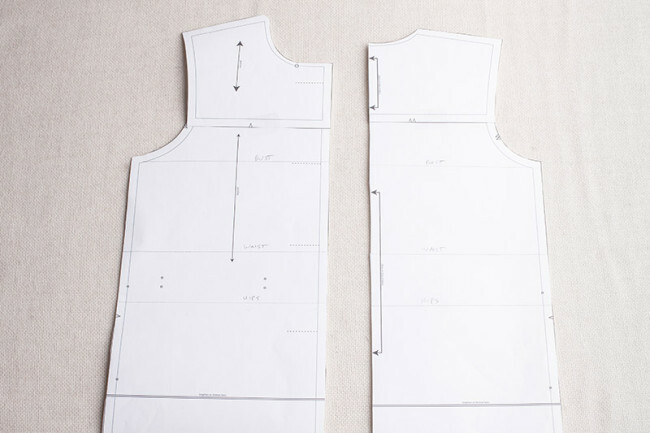 Transfer the bustline, waistline, and hipline locations to your pattern on both the front and back. 3. 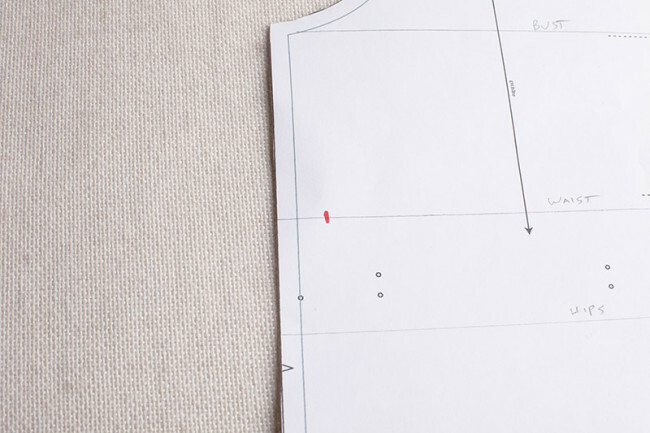 Draw a point on your waistline indicating how far you would like to reduce the waist at the side seam. 4. 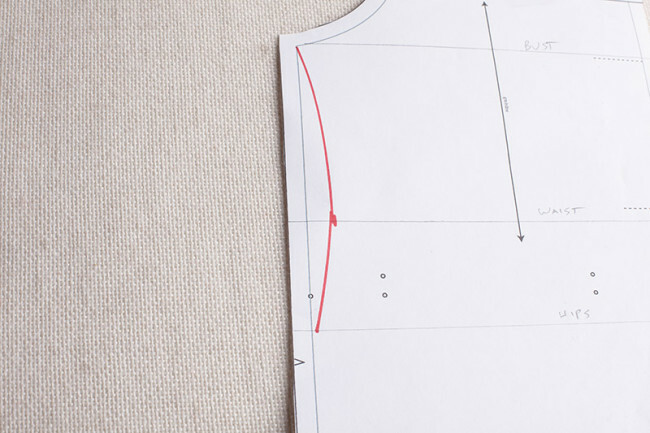 Using a curved ruler, draw a new curve, tapering toward the bust line and hip line. 5. Trim at the waist, maintaining your 5/8″ seam allowance. 6. For version 1, adjust the lining in the same way. 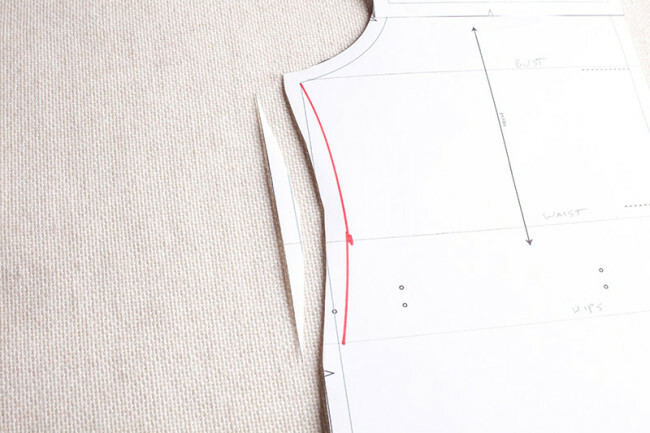 Now that you’ve altered your fit and pattern, you may feel like creating another test version. This is entirely up to you and how severe the changes you’ve made are. For minor changes, you may feel confident moving on to cut your real fabric. For big changes, you may want to give it another test. The Albion Companion offers in-depth, step by step instructions for making the Albion jacket or coat, illustrated with over 300 photos. Learn to make a classic flannel-lined duffle coat or lightweight unlined jacket for either men or women.Learn at your own pace, on your own time. This detailed ebook will show you every step of the process. This adjustment is making me want to do a coat for me also! I look forward to it!